As someone who works from home and various venues A LOT, I find that I don’t get out for lunch as often as I would like. So when my sister decided to surprise me with a visit for her birthday, I though why not try this neighborhood gem that I’d been dying to go to! Let’s just say they did not disappoint. The ambiance is perfect as they’ve definitely nailed Beverly Hills elegance with a more laid back vibe. 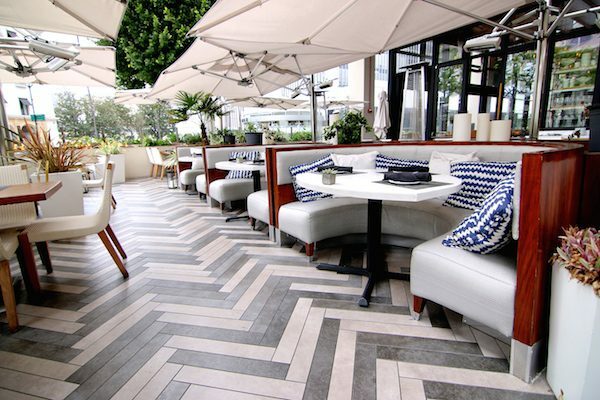 I LOVE a great patio to sit outside and enjoy these lovely LA days and Ocean Prime has a gorgeous outdoor space. 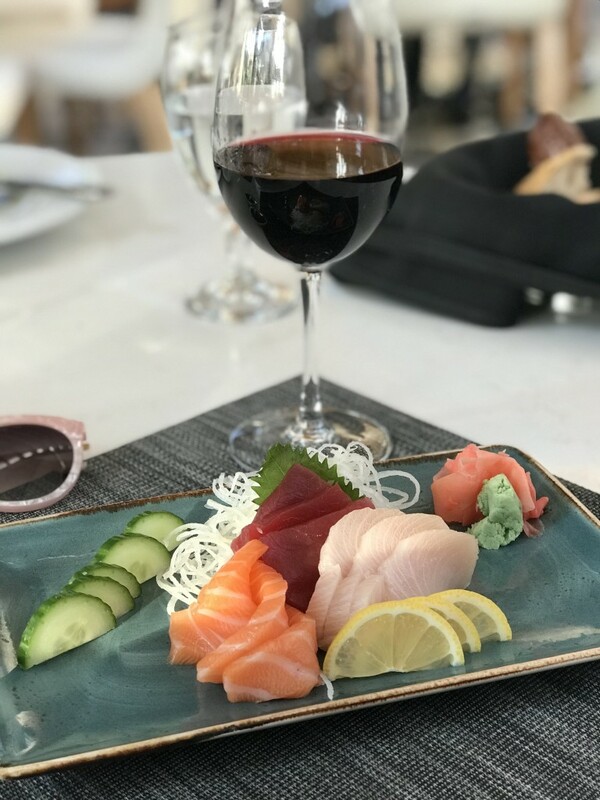 They also have a dinner menu and happy hour menu if lunch isn’t your thing or you simply don’t have the time. We immediately ordered some oysters and the chef sent out the tuna tartar (which I highly recommend) We paired our first dishes with one of my NEW favorite cocktails, the Berries and Bubbles, a perfect combination of Belvedere Citrus Vodka, Marinated Blackberries,House Made Sour, Domaine Chandon Brut, and Dry Ice Smoke for those special effects! Next up we ordered the Scallops, Filet Mignon, Asparagus, the Sashimi and of course the truffle fries. We paired this with a lovely Malbec which was perfect for my steak! 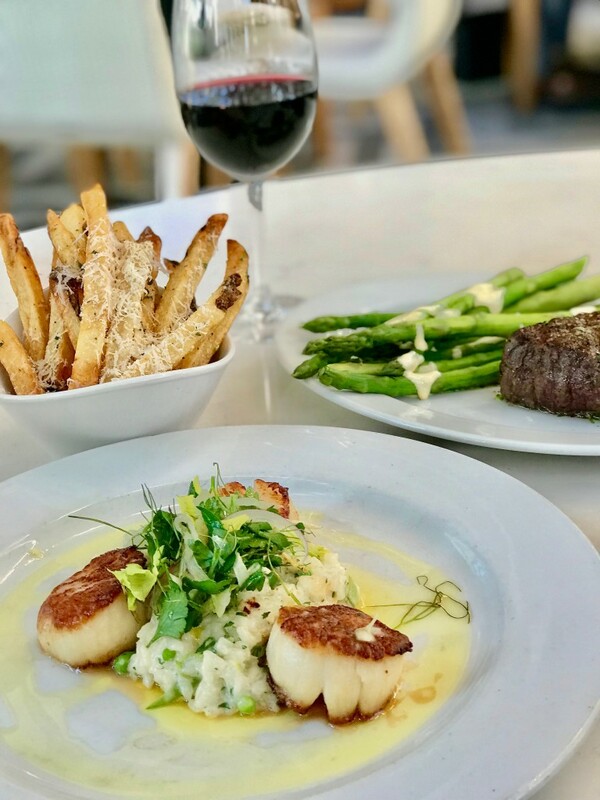 And as someone who is gluten conscious, I love that they have a dedicated GLUTEN FREE menu, which is much appreciated as I often have a hard time finding things that work for me a most restaurants. 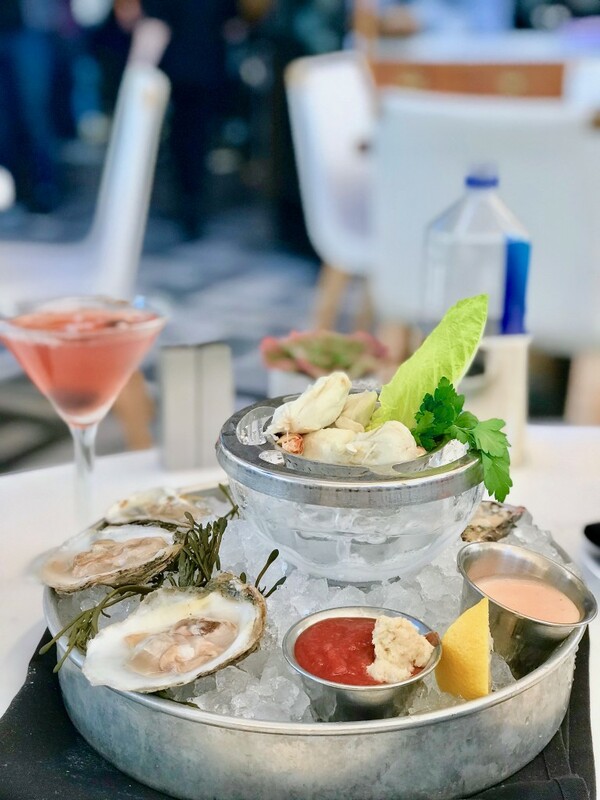 Sadly we left no room for desert but I am definitely coming back to soak in the sun at their gorgeous patio and eat $1 oysters during happy hour (M-F 4-8pm). Our amazing waitress also let me know that they have live music in the evenings. Oysters (check), live music (check) drink specials (check), patio (check) = perfect date night or hanging with friends! Looks like a great one and I am a sucker for oysters too! That’s a gorgeous dress you’ve got on!